ITP #35: Have you ever tried to define your concept of God to someone who doesn't know God but wants to? 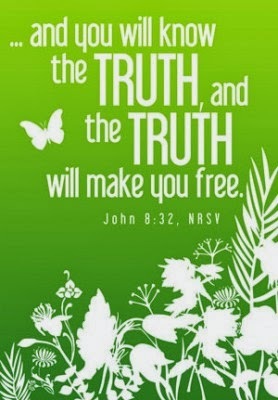 Have you ever thought about what your truth is about it? On this week's show, we're met with this challenge - helping a friend in her search for God. And through it all, we can find our own truth as well. And there are so many things going on in my life right now. Remember a couple weeks ago I shared with you about my friend who is battling a terrible drug and alcohol addiction? Being that I too have my addictions, legal as food addictions are, the behaviors and triggers can be the same. She is on her path to recovery, having been clean since the end of January. And at this point on her path, her program is asking her to embrace the concept of God in her life. And then once she's done that, she must turn her life and her will over to God as she understands God to be. And this is where she has been having a lot of trouble. And we've had many discussions over the past week or so about defining God. It's difficult for me to understand life without God. I was born into my Christian faith. My family practiced our Christianity when I was a child as we do now. And although there were times throughout my life, that I may not have walked as closely with Him, there was never a doubt in my mind about God's existence. This past week has been especially challenging for me, because my friend has had to define God in her terms, and I have been trying to guide her. And let me tell you, it's tough to tell someone -- who has no concept of God -- what God and faith are all about. We started off with our Armodoxy concept: God is Love. Christ is Love incarnate. Father, Son and Holy Spirit are one. So when we study and apply Christ's teachings of love and compassion in our lives, we are doing as God wants us to do. Commands us to do. It all sounds so plain and simple right? I thought so. But it's not so simple when you are talking to someone who does not share the experience of unconditional love, let alone a love that can be trusted and is a constant in life. Our first experience with love is from our parents. We are born into this world, completely helpless and dependent on our parents to nurture and protect us. And that happened in my friends life. Let's call her my friend Anita for the sake of this writing. At a very young age, her parents divorced. And it was not a pretty picture. Her childhood has memories of her parents hating one another so much that they would need to drop her off at the police station in order to exchange physical custody and not come into contact with one another. When she was with her mother, she heard stories about her father. And vice versa when she was with her father. So right there, that "LOVE" factor was absent. When parents divorce, it's difficult on everyone in the family, but most difficult on the children. Parents need to be mindful that it's not the child's fault. It's not healthy for the child to have to choose sides, or even get involved in the drama and the pain. In our conversations, Anita did share with me that she didn't understand why she was conceived in the first place since her parents were so against one another. That's a terrible burden for a child to bear. Then later on, as she grew older, rather than unconditional love, their love was filled with conditions. She had to be perfect. She had to dress and act a certain way. There was tremendous pressure to achieve, and then having achieved early graduation and entrance into high school at age 13, she was stuck socially. There was no one in high school her age, or her stature. She didn't fit in. Yes, she was brilliant in math and science, but you have to have an amazing support system outside of school in order to deal with the pressure of being unique and not fitting in within the confines of school. I think of my own childhood. Bullying was always there. I was always the chubby kid. And yes, I did get teased, but I knew that I had my support system. My parents where there. And I knew that if I really had a problem, I could go to them and they would make it better....at least they'd be on my side. I think about how that would be if I didn't have that support. Parental support, paired with an early knowledge that I could ask God to guide me, were comforting to me. When I was a child, every night my mom would come to our room to pray with us and tuck us in. I have to say, that although as a child, the recitation of the Lord's Prayer was not really something we gave deep thought to, it was comforting to know that there was something greater than ourselves we could rely on. Anita didn't have that. Just last week she commented, when she saw the cross around my neck, that she used to wear a cross. And her father told her to take it off because "you don't want people judging you a certain way." She said she was criticized for searching for faith. "I used to go to church. But that stopped. If I wore a cross, I got yelled at. If I wore a buddha, I got yelled at." She was in so much pain at home with an abusive father and a self-absorbed mother. When I asked her why she didn't reach out to aunts, uncles, anyone, her answer spoke volumes. "I thought it was normal. I thought getting beaten was normal. It was my normal. As I got older, I just accepted it as my reality." So it's no wonder that she tried to escape with substance abuse. So back to the God concept. So how do you explain the concept of being able to trust in a loving God, an omincient and compassionate God, to someone who has had no experience with unconditional love, or being able to trust in love? Not easy. I talked this out with Fr. Vazken. He reminded me that I had many years of working on my faith, and that as simple as our learning is - the concept that God is Love - it has come from many years of study on Christ's teachings. He suggested that we start with the Gospel of John. So we gave it a shot, but even so, it wasn't resonating. In order for Anita to work on her recovery, she had to find her God, a power greater than herself. And she was at a stalemate. This was causing her great frustration. She had never known God. She had never needed God. And our conversation ended with "What does God have to do with my sobriety!!! I don't get it!!" She has been searching. She has a dear friend whom she talks to, so I asked what his perception of God was. Maybe that would help her. And I think it did. Hearing it from one of her peers helped. She said that her friend relied on God to be there at all times. That it's the one thing he can trust in even when everything else around him is not going well. God is there for him. That was her friend's truth. Now we needed to find hers. So we tried different concepts of God. I understood that what Anita needs is not to believe in my God. But to believe in God as she understands it. And I have shared with her my insights always telling her that this was my truth, and my understanding and in seeking the truth she will come to her own understanding. So we talked about finding God in nature. She seems to have a respect for nature, so what was wrong with that? We talked about that. 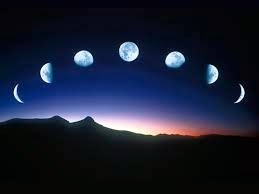 Then one morning, after having the full moonlight shine on her through her window, she told me that she thought she maybe should would choose the moon as her higher power. After all, the moon was always there. She could rely on it rising each night. She had always identified with it. So the moon it was. Until it wasn't! Because try as she might, she couldn't understand how she would rely on the moon to help her in her time of need? That just led to more frustration. Then I shared another analogy I had heard. Believing in God is like riding a tandem bike with God at the front and us in the back. It's up to us to do all the work. To put forth the effort for our lives, our healing...and God is steering us, around all the potholes and obstacles. I liked that. But then again, I'm used to God being there for me. The talks may not have been working, but the power of love was present. I keep praying each morning that God give Anita the willingness to be open to this search. And along with the prayers, there have been a lot of hugs and love. Open dialogue. I told her that my way was not to try to convert her, but to love her and help her come to her own understanding. And I shared with her that it's difficult for me as well, to trust in God's will sometimes, and I have been brought up with God. I am active in my faith. And I struggle with letting go as well. So I understood how difficult this must be for her. It's hard, given that we are created with free will, to just give up our problems to God....to love. But when we do, they do resolve themselves if we believe. The problem has been that she has questions. As to the existence of God. And those questions cannot be backed up by scientific fact. She is good in science, and I explained to her that science and religion go hand in hand...they complement one another. But that what I was viewing within her was the need to BE GOD. Not find God. She wanted the control. She wanted the infinite understanding of life. She wanted to control all situations and have answers. And so far, this type of thinking had not led her down the right path. Because clearly she wasn't in control. We are not in control of life. It happens. With all its and downs, twists and turns. She agreed that my perception of her was true. I can't judge her on that given the cards she had been dealt. 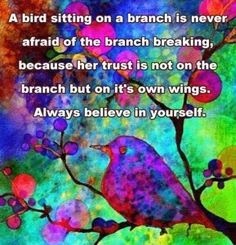 If you can't rely on anyone, you have to rely on yourself. Letting go, and letting God in your life is a total leap of faith. You believe, and you trust. And you take that jump. And that, for the nonbeliever, is terrifying! So we tried visualization. Her recovery program encourages her to "act as if" she believes. Saying that it's okay not to understand it all right now. 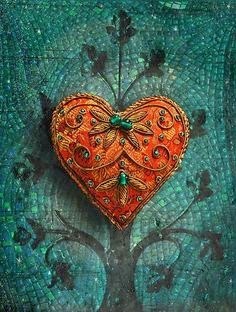 Just open your heart and have a willingness to believe. Believe in the idea that there is something greater out there, and it will happen at the right time. She wasn't really buying it totally, but I also didn't see her fighting this idea too much. And then just two days ago, she shared with me that she felt like she was in a good place with all of it. She said, "I'm okay. I'm happy. And I think I'm finally okay with where I am with it all." I didn't question it, because most important is the need for her to hear herself say that. 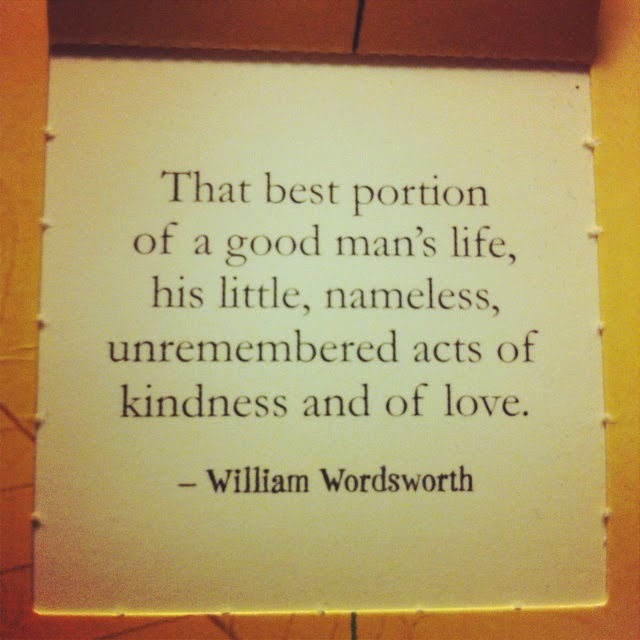 And to live that moment. I didn't ask what happened, what she believed to be true. Just a hug. She asked what I'd be blogging about this week. I told her I was going to write about lent and our lenten journey together since we have been listening to Fr. Vazken's Lenten Journey each evening, but that I was thinking about our talks about defining God, and that I'd write about that. She thought it was a good idea. She asked me to write about it, because maybe someone out there can learn from all this. Earlier in the week, she had a long discussion with my husband about our solar system, space, the planets, the universe, and she was very interested. She shared this with her friend and the two of them decided to take a trip to the Griffith Park Observatory. She had never been there despite growing up in southern California. And she was blown away. She showed me her cell phone pictures, and shared what she had learned. "I have always had trouble relying on something consistently because my opinions on things are always changing. There hasn't been a constant. But looking at it all, I realize that it would be stupid of me not to believe. It's all created so perfectly, and we're a part of it all We all fit in together, in the grand scheme of things - and we are right where we're supposed to be at this time." That's HUGE, right!?? I saw in her a sense of peace, for today. And although she is not yet finished defining God, she is well on her way toward the next step of her healing. I am so grateful for Anita, and that God has blessed me and brought her to me to share this journey with her. By doing so she has helped me to define God as well. 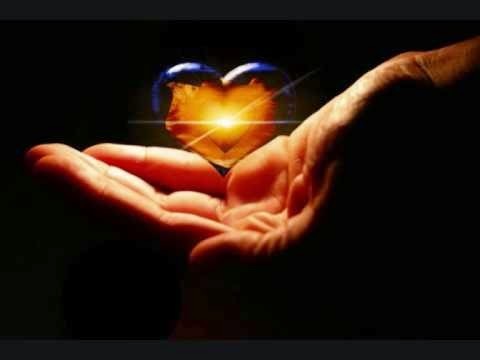 I am 100%, absolutely sure, that God is Love, and when we open our hearts and minds not only to God, but to one another - unconditionally - He will find us - Love will find us. And the healing will begin. "Believe in GOD within you! ITP #34: Giving our youth the opportunity to serve the needy is an important life experience that all are equipped with, but not many embrace. On this week's episode Anush talks about this month's outreach and shares one young adult's reflections on his service. This past week, we had our monthly homeless outreach at Glendale's homeless shelter. As you know, each month we go with a small core group that is familiar with the surroundings and what we need to get done. And then we have a few new volunteers who sign up as well. I think it's really important that we keep extending the opportunity and experience. There are familiar faces among the residents and there are new residents as well. Our crew served up meatloaf, baked potatoes with butter and sour cream, peas, green salad and ice cream for dessert. All served up with smiles and a heavy serving of love. If you know me, you know I'm a sucker for babies. I spotted a cute little one year old in a stroller that was pushed close to one of the tables. All smiles and curiosity, his eyes were following his mother who was in line for her dinner. His mother had to be all of about 20 years old. A pretty girl, with sad eyes. As she walked toward her smiling baby, I could see she had a marked limp and no use of her left arm. I circled around the dining room asking if I could get anyone anything. She asked me if I would wash out her baby's bottle and fill it with juice. When I returned with the bottle, she asked if I could help her cut the baby's food. I noticed an odd scar on her face and didn't think too much about it. I noticed that when she spoke, she spoke softly, barely opening her mouth. Later, talking to Edward, the resident manager he commented about the baby...and how nice it was to have a baby around the shelter. He said that everyone had taken to him sharing with me how smart he was at only a year old. And he told me about how he and his mother ended up at the shelter. Edward called the baby a "miracle from God". He said the baby's mother was shot in the face in her 8th month of pregnancy. The bullet had caused her paralysis. Thank God, the baby was born healthy. It was a long time before this young mother was able to leave the hospital having to learn to walk again and fend for herself. Thankfully, they are at Ascencia for the time being and in a program to get their lives back together. For the past 3 months, I've noticed this beautiful girl at the shelter. She is delicate, and pretty. Always has her make up on, hair fixed, dressed as nice as she can be. This month, she came to the dinner line with flowers in her hair. She looks like a model. When I asked about her, the resident manager shook his head. He said, she was here years ago as a litte girl with her mother. They went through our program and moved on. Then her mother met a man, and she was gone. Left her daughter with nothing, no family, no home, to fend for herself. Since this happened, she hasn't been the same he said. She dresses up every day as if he were leaving to go somewhere. Heartwrenching. Stories like this are not uncommon. They are happening all around our country. Lives are broken and shattered. There is a lot of sadness out there,but thankfully, there is a lot of hope as well. Those that help on our outreach for the first time around very moved. And more importantly, they are hooked. I have never had someone help that didn't ask me to let them know when they can help again. One of my core crew, my friend Lida, shared a speech that her son Leo had written. A few months back, we took a crew of teens and young adults with us to crew. Leo was one of our team. His mother said that he was so moved by the experience, that he couldn't get it out of his mind. So much so that he wrote a short presentation about it for one of his classes. I just wanted to share excerpts from it with you. "...One of my memorable experiences was when I volunteered to help out at a homeless shelter. When I was first invited to volunteer by our church, I asked myself several questions: Why am I doing this? Why would I have to help out complete strangers when they've done absolutely nothing for me? Why would I waste my time? "...When I got [to the shelter], we started cooking, putting together a nice meal for those in need. As I was examining the place, I realized that there are a lot of people out there who don't have a roof over their heads, a simple bed to sleep on while there are others out there who are stressing about what their next car is going to be, or when the're going to get their next iPhone. In the process of serving food to the people at the shelter, I came acorss an African American family of 5 children and their parents who had a great affect on me. This family consisted of a mother and father, 4 young gilrs and 1 young boy, who was the most grateful and polite kid I've ever met. When asking for something, he always made sure to say, "please" and "thank you," and when served dessert, this kid had the biggest smile on his face - as did his whole family, repeatedly saying thank you for everything. "...As we were cleaning up, I reflected back over my life and all the times I had felt I had nothing. It really made me realize I had more than enough. After serving the people food, the counselor at the shelter took us on a little tour around the place. I got to see what it's like for people to live with absolutely no privacy at all. At least 40 people of all ethnicities shared one, big room filled with bunk beds." Leo went on to say how much this experience had changed his life, and how fulfilling it was to help those in need. This past week, my young cousin Ani joined us on our outreach. She too was moved with the experience, yet shared it a little differently. She said that she neither experienced pleasure, nor pain from it. In other words, she didn't feel that happiness to serve that many experience. Nor did she feel pain in experiencing the struggles of others. What she did experience was a strange feeling that she was right where she was supposed to be at that time. That she was doing exactly what she should be doing. what most people - young or old - wouldn't normally experience. To put themselves in the shoes of the needy, the homeless, and to get an inside glimpse of what their reality is like. And by doing that, we raise the level of compassion within us, to carry on Christ's message of love to those we come in contact with. It's important, don't you think? To raise our children with compassionate and loving hearts. God is within each of us. I think that's the reason that helping others feels so good to us. To some it's what they are supposed to be doing. To others it's a way to understand how blessed their lives are as they put things in perspective. But I think in all instances, helping others with caring and compassionate hearts is an innate desire that is planted within us. It's there for us to nurture, to nourish, and allow it to grow, if only we follow God's call in each of us. Do you have a story to share about volunteering or helping the needy? I'd love to hear from you. Please leave your comments here on blog. ~Special thanks to Leo Ananian for sharing his reflections. ITP #33: This week on Inside the Pomegranate, Anush starts off her lenten journey discussing addictions. Open conversations with her friend who is a recovering addict, help us to realize the importance of God's hope and love in our lives. Over the course of these past two weeks, I have been in discussions with a dear friend of mine. She is a young 19. And an addict. It's made me think a lot about addictions. I mean, I too have my own addictions that I'm working on. I've come to my own understanding that sugar and I don't mix. Or sadly, we mix too well. Just a little bit for me, leads me to want and crave more. And so I have had to cut it out of my life. My friend is addicted to drugs of all kinds, and alcohol. Over the course of these past two weeks, we have been having some discussions about God, integrity, self-worth, honesty, and ultimately peace. When we think of people with drug addictions, our mind takes us to what we've seen on TV and movies, right? The typical drug addict: circles under the eyes, thin, vacant look on his or her face, missing or decaying teeth, zoned out, dissheveled. You know the type, right? But this is not the face of addiction in this case. My friend is young, fresh-faced, beautiful smile, intelligent, fit, vibrant and charismatic. Yet, she is an addict. That's just one type of addict. I'm the another type. I'm a sugar addict. It's taken a long time for me to figure this one out, but it's the absolute truth. My whole life. And yes, you may not think that a drug addiction and a sugar addiction are anywhere near the same thing. Her addiction is to illegal drugs. My addiction is to sugar, which is not only legal but is put in all kinds of foods,not only desserts and sweets, but it's hidden in everything from peanut butter to breads and cereals. But the reaction is the same, and the emotional triggers that lead to it are the same too. As our chats have continued this week, we've been touching on everything from protecting her abstinance from relapse, to surrounding ourselves by the right people: People that will elevate us and not bring us down. We talked about that slippery slope of just one bite (for me), just one hit or drink (for her) and how we’re out of control and it can send us spiraling down. She doesn’t want to go there. We talked about understanding that no matter how long the period of abstinence from a substance, that addiction would still be there. Look at what happened to Philip Seymour Hoffman after 22 years of being clean. There’s a lot of pain there. She understands the gift of a life…but she says there are times where she allowed herself to just spiral down. Isn't that true of all of us? Aren't there times that we just allow that negative spirit to take a hold of us and pull us, resigning ourselves to self-loatheing and feeling sorry for ourselves? Focusing in on the problems that arise in the darkness rather than the solutions that lie ahead in the light? I don't know anything about drug addiction. And I don't really know much about drugs either beyond the scope of what I learned over watching back to back seasons of Breaking Bad, or Nurse Jackie on TV. But I do know my own reality. And all I can offer to my friend is my own experience and what I find strength in when I feel the need to reach for a sugary friend rather than dealing with what is stimulating that urge. Digging deep, through all the layers, it all goes down to the basic question: Why am I here? God's gift to us is life. But it's up to us to take that gift and nurture it, grow it, and make it flower. It was funny. Hearing myself explain this to my friend, I was strengthening my own convictions. So what is God's plan for us? We talked about this. I think each of us has to find our own joy. What is it that makes us happy? What is it that makes us feel like we have purpose? For me, I find the most joy when I am creating and when I am helping the needy. I often hear, "Your homeless outreach is such a blessing to people." I don't look at it that way. The reality is that the outreach is a blessing to ME. And I think anyone who has joined us on our homeless outreach has felt this. Feeding and clothing the homeless is necessary in my life because it gives my life purpose. Yes, I have plenty of other purpose too. I am a mom, a daughter, a sister and aunt. I'm an artist, a wife, and all that. But I think that when we have a passion and a purpose and it's pointed in carrying out Christ's teachings of love and compassion, our lives take on a different meaning. They feel more fulfilled. I'm totally not blowing my own horn here so please don't take it that way, but when I'm not involved in this work, I don't feel complete. That's when I start feeling empty. And it's important to feel "full" of life. And so what is her purpose in life? I asked my friend, "If I could wave a magic wand and you could be anything at all in life, what would you choose? What would you want to be?" She got really quiet. There was a minute of thoughtful silence. And quietly she answered, "I think I would like to teach." Beautiful. A totally giving and fulfilling profession. She is brilliant in math and science. And we talked about the shortage of women role models in the math field and what a blessing she would be to young women, empowering them in their education. Purpose. She is young. And so the following day, I saw new joy in her when she told me she had applied to community colleges and completed her FAFSA application and sent it in. I think there is trepidation in going back to school as well. Drugs and alcohol are prelevent in colleges and universities. And when you're in recovery, being surrounded by your addiction can break you. And that's where God steps in. Since we are created by God, and God is in each one of us, there is tremendous potential in each of us to create our own happiness and spread that light to others. It's there, but we have to tap into it. And we have to want to "work it" so to speak. Without realization of that potential, it's easy to just waffle through life. And that's when we get caught up in losing our focus. That's when we are most vulnerable and that's when the door is open to find that happiness outside. And it happens. Despite the fact that I have always practiced my faith, I have used sugar as a crutch when it came to feeling my feelings. Any reason was a good one for chocolate, right? And I never really thought of it as an addiction before until over Christmas when I found myself having an inner dialogue with myself. The angel on one shoulder asking myself why I was indulging again when clearly it was not in my best interest, and the devil on the other shoulder saying, "Shut up and pass the chocolate." Searching inside, I find that my desire to be moderate is there, so why is it so difficult? For her short 19 years, she has seen a lot. The drugs were there when she needed to fit in, when she was feeling unaccepted, when there was a need for comfort. The numbness of the high kept her from feeling what was too painful in her young life. One addiction led to another. And another. Tough love didn't work. What was missing in her childhood was "love" - the unconditional, selfless love of a parent for their child. What is missing in her life is an understanding of God. This is what we talk a lot about. Approaching all things through love. The concept is foreign to her. A loving God that cares for us. That is there for us when we need hope and strength. As she works through her recovery, I see that she's trying to understand. She wants to understand. We talk a lot about acceptance and forgiveness, again, not easy concepts to grasp when you don't know God. But we're getting there. Last week, as we spent time together, a text message came in. It was the notice that episode 1 of the Lenten Journey with Fr. Vazken had posted. She was receptive to hearing it. And so we sat and listened. And it was so appropriate because the very first lesson was the desire in ourselves to be well. And the second lesson, that we can't rely on others for our wellness. It is up to us to do all that we can to see to our wellness. Yes, we have the tools and the support from others, but until we can admit to ourselves that we want to be well and take the first steps, it's just not going to happen. And so that's where we are. We've been listening to each episode together each night. Slowly, she is understanding the stability of a loving home. There is a lot of guilt inside her. And sadness. But there is also this beautiful and bright light that I know will shine brightly if allowed to grow. I shared with her one of my favorite quotes from the Rev. Dr. Martin Luther King: "There can be no deep disappointment, where there is not deep love." Trying to reassure her that there are people that do love her, and that their disappointment in her life's course of events was only because of the love they have toward her. There are just many different ways of showing it, and what is needed in this case is wrap-your-arms-around-her, and tell her that no matter what, you will love her type of love. 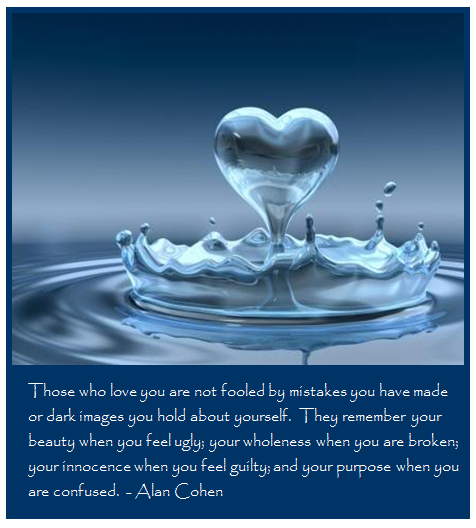 Those who love you are not fooled by mistakes you have made or dark images you hold about yourself. They remember your beauty when you feel ugly; your wholeness when you are broken; your innocence when you feel guilty, and your purpose when you are confused." This Lenten Journey is going to be an extra meaningful one for both my friend and I. The road to healing is going to a long one, but hopefully one of strength, peace, and a desire to be well. We can't do it alone. We hold on to one another, and God provides the love for us to accept, forgive, and be made whole.